Google Analytics is essential for understanding your website traffic, channel attribution, and ad campaign effectiveness. 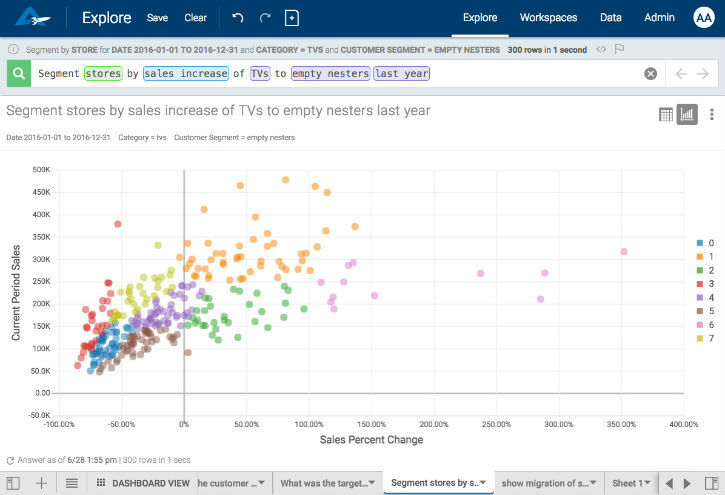 But to make this data even more powerful, you need a modern BI tool that combines other datasets and allows for fast, easy querying. Pair your Google Analytics with any of your other data to get a more complete view of your customers, sales, and products. You can add enterprise-wide data, public data sources, or department-level spreadsheets.